The Bayou Fryer Stainless Steel Basket fits both the 4 gallon Bayou Fryer and 2.5 gallon Bayou Fryer. 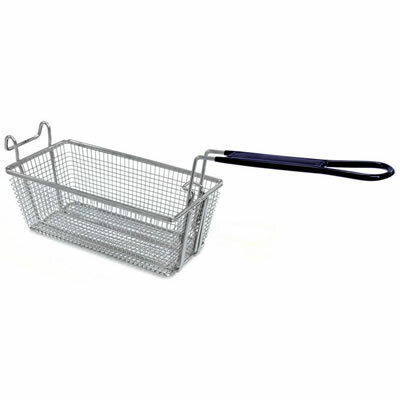 The Bayou Fryer Stainless Steel Basket may be used as a replacement Bayou Fryer basket. We have also had customers set up food in a third basket for shorter turn around.